Sunset - and a New Sunrise! 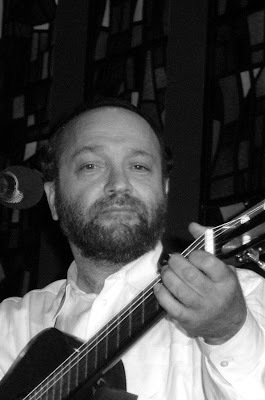 The Jewish music world is mourning the loss of one of the "Sweet Singers of Israel," R. Dovid Zeller z"l, who had one of the sweetest voices I've ever heard, and taught us many of Reb Shlomo Carlebach's niggunim, as well as those of Breslov, and some of his own. He passed away last Thursday night in his sleep. Yehi Zichro Baruch! A fuller tribute to R. Dovid will appear just above this updated post. 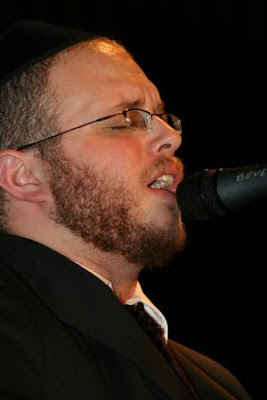 Here you can find R. Dovid’s music. However, to paraphrase Shlomo HaMelech [Kohelles, 1:5], U'va haShemesh, v'zarach haShemesh - the sun sets, and rises again. We have merited to see a second and a third generation of students and followers of Reb Shlomo's beginning to compose and sing their own music, as well as that of their Rebbe. Some of them are pictured below, with my brief words. 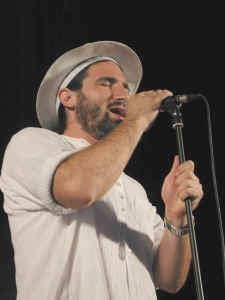 R. Yehuda Green in another "sweet singer." He has a very soulful voice, and has absorbed much from Reb Shlomo. He heard R. Shlomo's "V'Zocher" niggun at the age of five [! ], and along with 11 other tunes, has recorded it himself in a new release, Land of Your Soul. 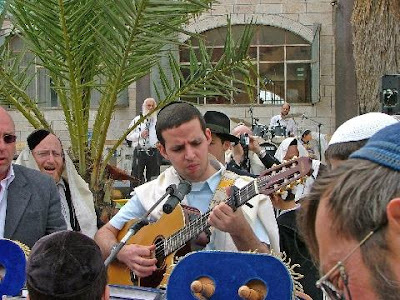 This includes four of his own compositions, albeit in his Rebbe's style, six of Reb Shlomo's, and there is also a tune from both Nomi Shemer and Moshe Shur. Chizkiya Sofer, a descendant of the "Kaf HaChaim" [a leading Sefardi posek], has been following Reb Shlomo Carlebach's music since about the age of 14! He has absorbed much of it, and at a zitz held in my home last Motzaei Shabbos, shared his first fruits - a new niggun that he composed, also very much in Reb Shlomo's style. You'll be hearing much more from him as time goes on! Shlomo Katz’s brother Eitan has a new recording of Carlebach niggunim, Eitan Katz Unplugged. It consists of ten niggunim of Reb Shlomo’s [one of which we’re investigating, as I have reliable sources who claim that although he sang it, R. Shlomo did not compose it]. Of note is that three of the songs have never been recorded before: Ma Tovu, V'sechezena and Odcha. Finally, Yehuda Solomon, a "third generation" Carlebacher, as his father was a neighbor, student, and accompanist to Reb Shlomo, has released three recordings of Chassidic niggunim, Beyond Words [link is to Volume 3] including those of Breslov, Chabad, Modzitz, Dzikov, Berditchev and others, as well as those of Reb Shlomo. A Modzitz dance tune that Reb Shlomo used to sing to Kaddish-Tiskabeil can be found on the second recording. 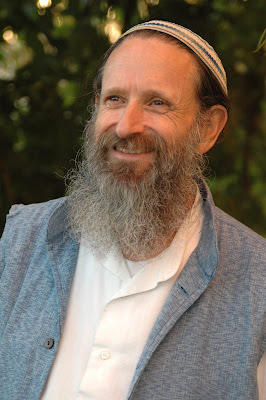 Baruch Dayan Emes . Where did the first guy you mentioned live? I think you will have to add a whole big list to the one you started. The whole Shemesh family as well can be added to the third generation as well as the Shur, Razel and Katz families and i'm sure there are more. Dovid Zeller lived in Efrat -- see my new tribute piece, and please reread this one, as it's updated. My listing of 2nd & 3rd generation Carlebachers was by no means meant to be comprehensive, I did say "some". Please note that I've added 2 others today as well.